Lithium nitrate is a colorless inorganic salt which is used as an oxidizing agent. 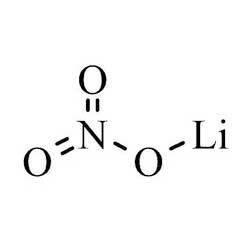 Lithium nitrate is lithium salt of nitric acid and has molecular formula LiNO3. Our product is extensively used in manufacturing of red-colored fireworks. Furthermore, on thermal decomposition of lithium nitrate, it liberates lithium oxide (Li2O), nitrogen dioxide and oxygen. Lithium nitrate anhydrous is an industrial grade chemical which acts like a corrosion inhibitor. It works as an oxidizing agent, antistatic agent for non-woven fabrics and etchant in glass manufacture. 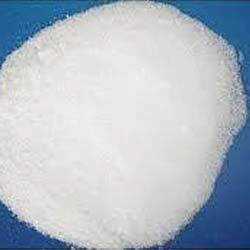 Lithium nitrate anhydrous is known for its balanced composition and high purity. Our company uses its rich industrial experience in providing lithium nitrate solution to clients. This lithium nitrate solution is a great ammonia absorber in waste water. 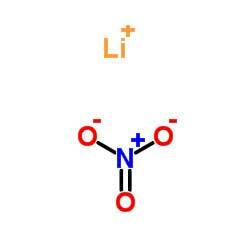 Furthermore, lithium nitrate solution is also used as strong oxidizing agent.